Top White House economic adviser Gary Cohn, a Wall Street banker who became a key architect of the 2017 tax overhaul and a bulwark against protectionist forces within the Trump administration, is resigning, the White House said on Tuesday. 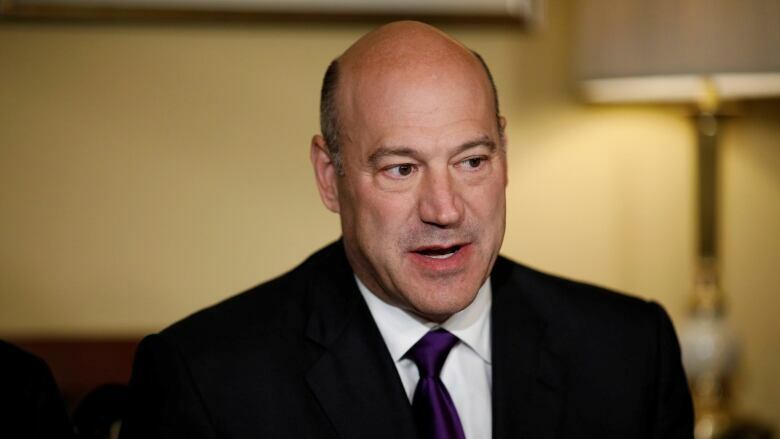 Top White House economic adviser Gary Cohn, a Wall Street banker who opposes hefty steel and aluminum tariffs planned by U.S. President Donald Trump, announced on Tuesday that he was resigning. "It has been an honour to serve my country and enact pro-growth economic policies to benefit the American people, in particular the passage of historic tax reform. I am grateful to the president for giving me this opportunity and wish him and the administration great success in the future," Cohn said in a statement issued by the White House. His departure as director of the National Economic Council came after a little more than a year on the job. Following the news of Cohn's departure, the U.S. dollar weakened, while an exchange-traded fund tracking the broad market S&P 500 dipped one per cent. Trump's announcement last week of his plans to impose the tariffs sent U.S. stock prices tumbling and came after an intense debate within the White House between Cohn and other advocates of free trade, on one side, and protectionist advisers such as Peter Navarro on the other, White House sources said. Cohn, a former president and chief operating officer of investment bank Goldman Sachs, was seen as a bulwark within the White House against protectionist policies. Business lobbyists frequently cited Cohn as their strongest ally in the White House. "Gary Cohn is one of the true Wall Street all stars behind the Trump tax plan. He will be missed. We thought he might switch mid-term and become the treasury secretary. He is that good," said Andrew Brenner, the head of international fixed income at NatAlliance Securities LLC. The White House statement said Cohn's departure date is to be determined but will take effect in a few weeks. Trump said on Twitter that his administration will be "making a decision soon" on the appointment of a new chief economic adviser. "Many people wanting the job — will choose wisely," Trump said.